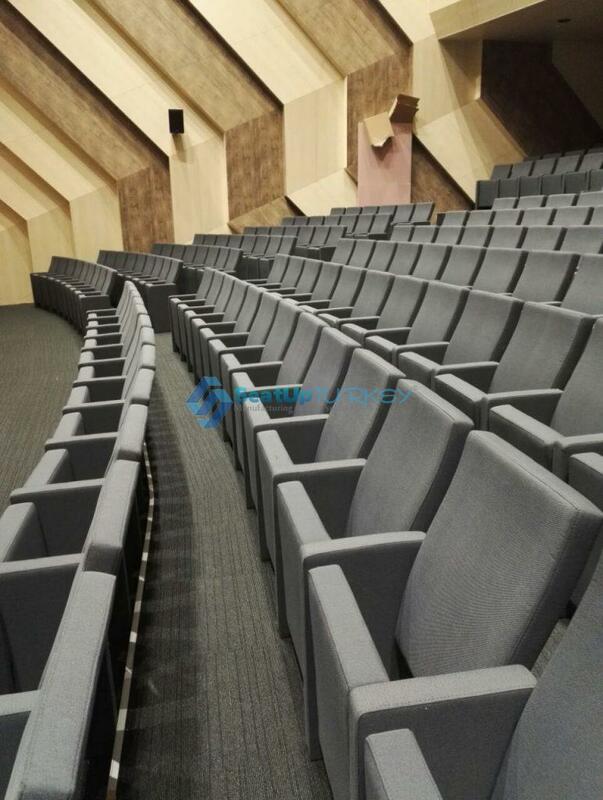 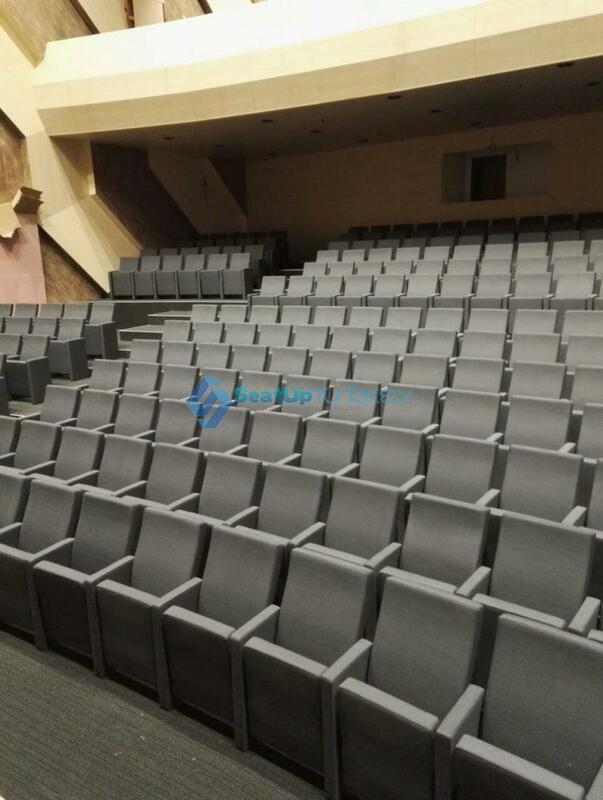 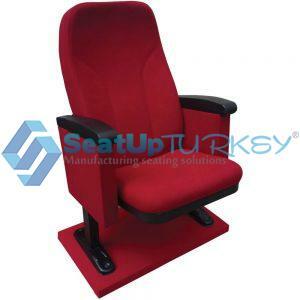 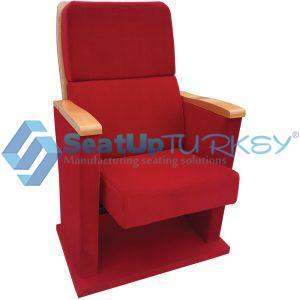 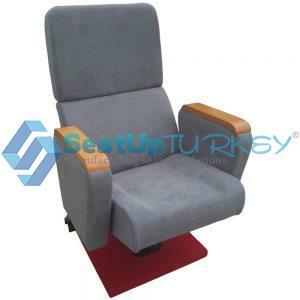 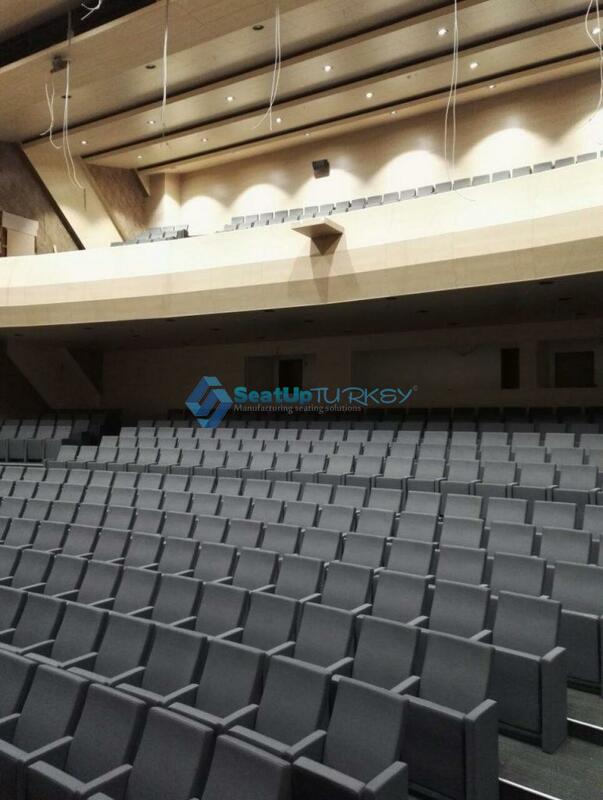 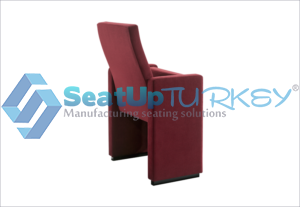 High quality Auditorium seat full upholstery, antibacterial fabric can be apply. 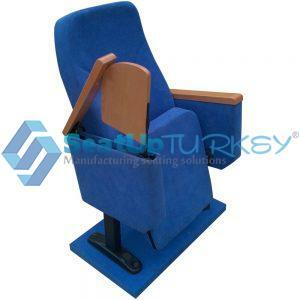 Anti panic table can be apply. 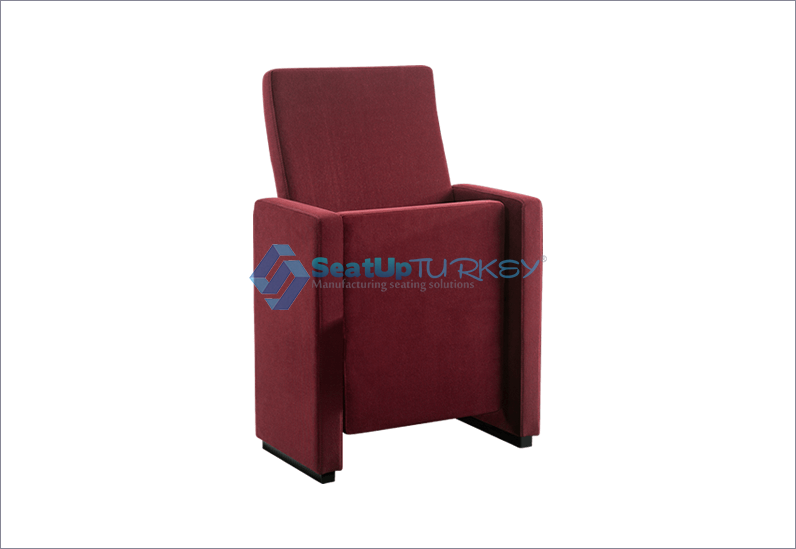 Chair seat: folding by gravity or can be fixed – upholstered. Chair back: Fixed back – upholstered. 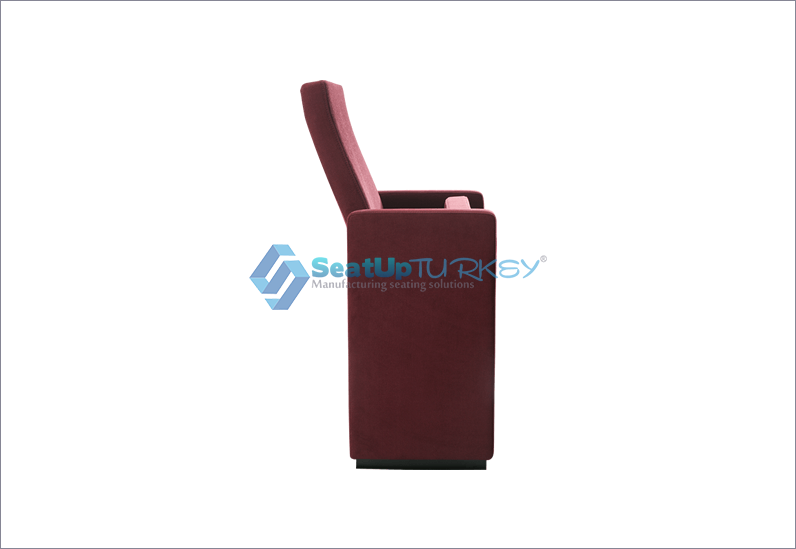 Foam: Fire Retardant molded PU foam. 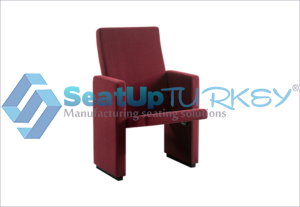 Upholstery: Fire retardant artificial leather/real leather or fabric. 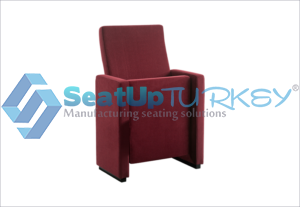 Color: Choose from Fabric Catalog. 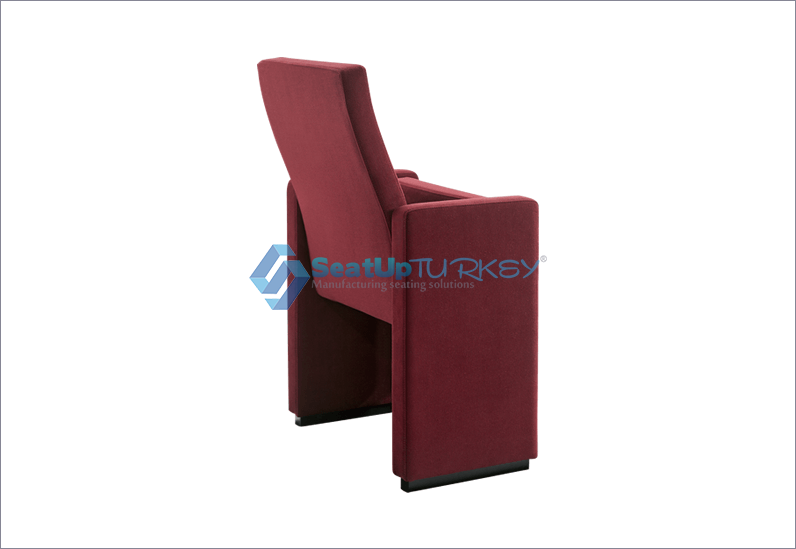 Dimensions: Width 56cm Height 100 cm Depth 58cm. 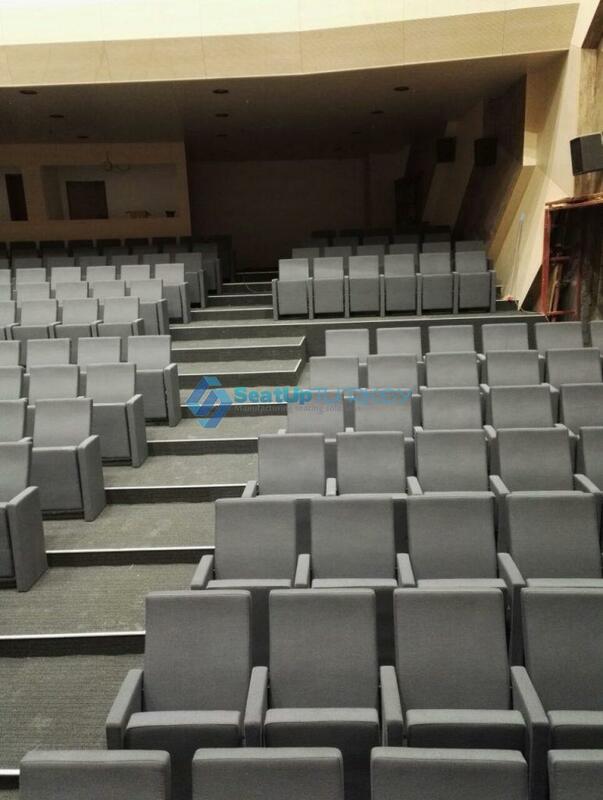 Installation: To the floor by metal L profile/screws.